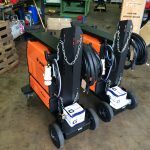 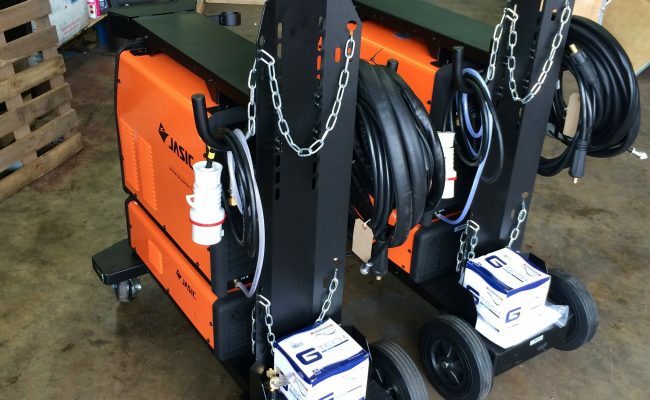 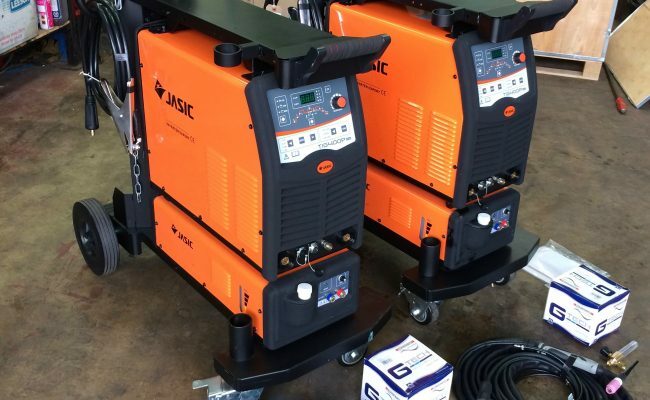 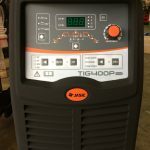 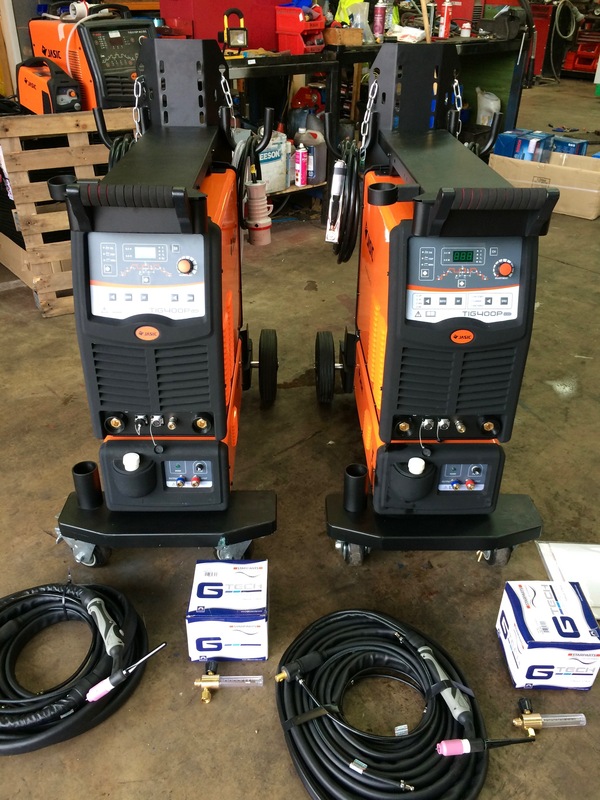 These x2 brand new Jasic 400P water cooled TIG inverter welders are amazing. 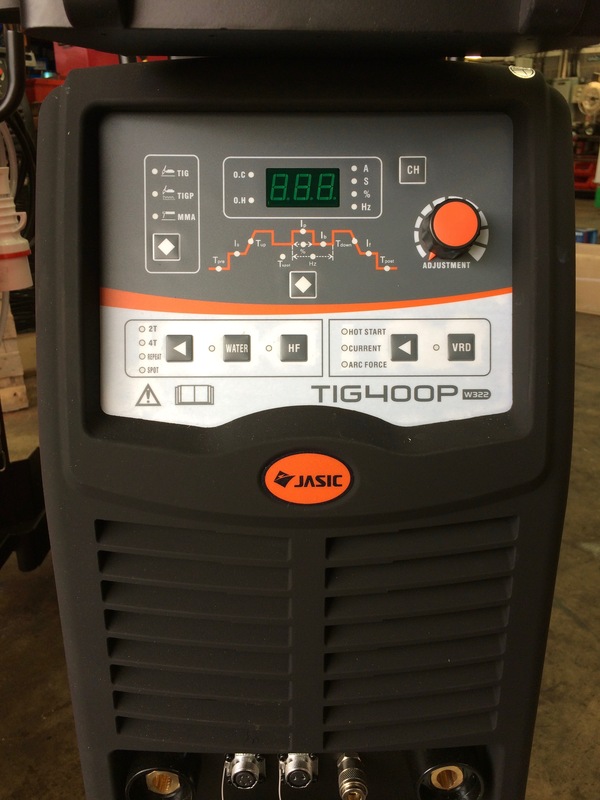 Jasic has blown me away again with this machine by incorporating industrial grade IGBT and FRD modules, as well as a state of the art MCU chip for outstanding weld finish. 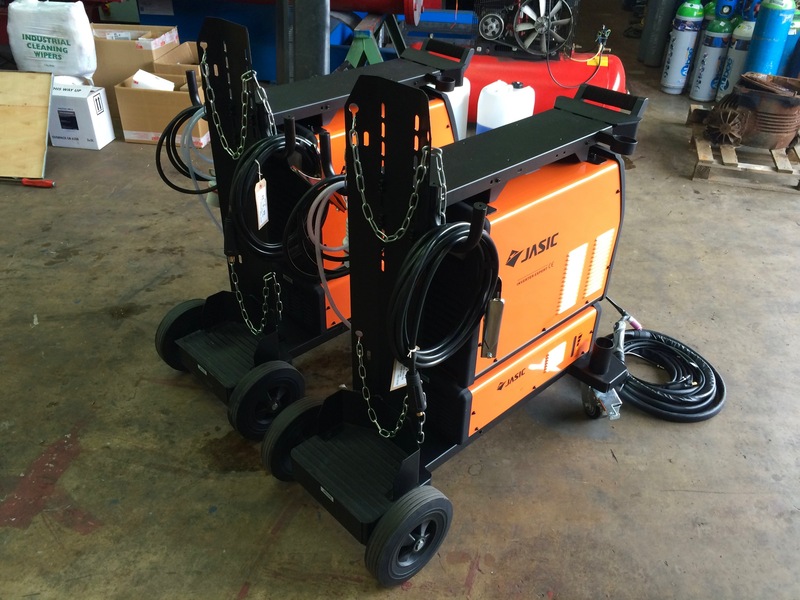 Jasic are keeping up with the big boys like the Lincoln Electric TPX 400 and we are loving their machines. 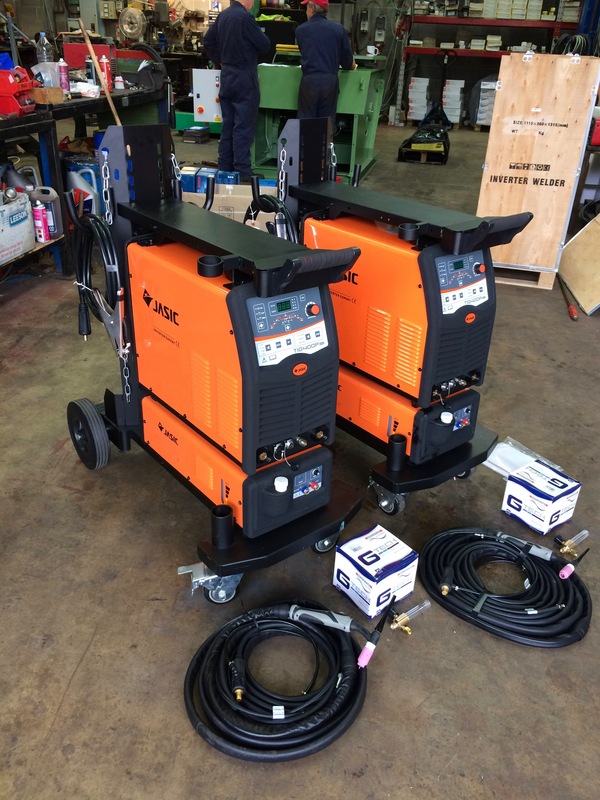 As a manufacturer Jasic are continuously improving their range of welders and what they can do, as the 400P welds 400 amps @ 50% duty cycle which is very impressive, especially when you see how affordable they are. 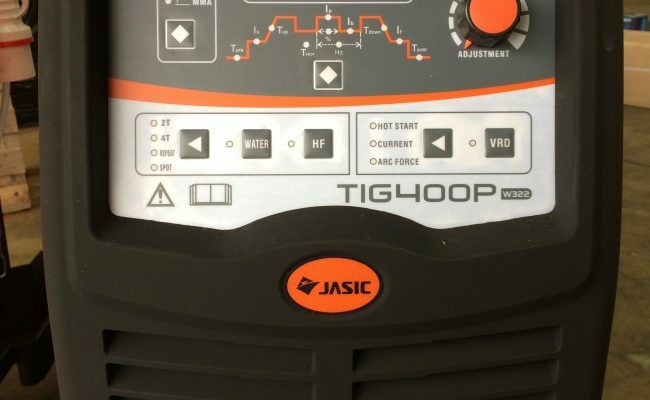 We stock Jasic's whole catalogue of inverters and sell them everyday, as the 5 years warranty on all Jasic welders still surprises me now and is a major selling point. 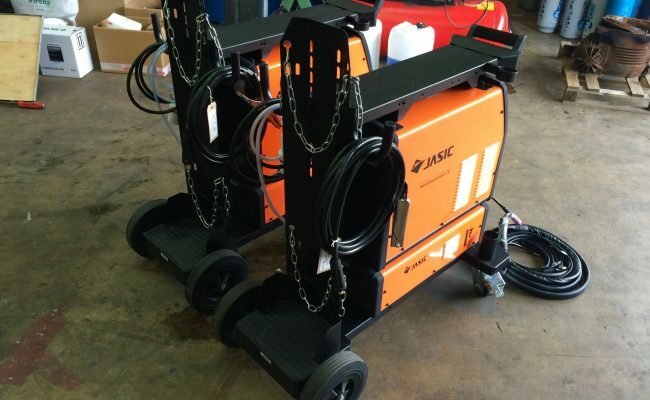 We really do recommend Jasic. 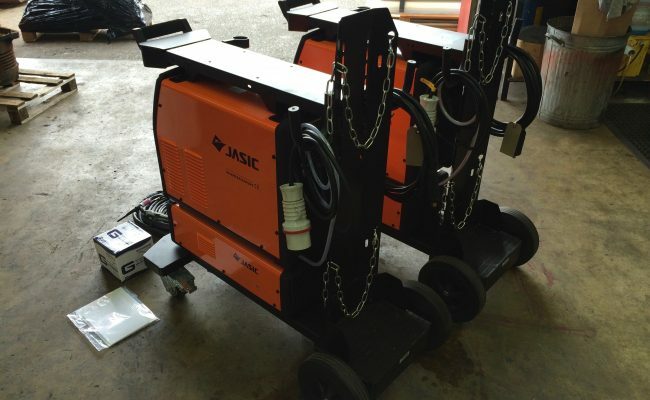 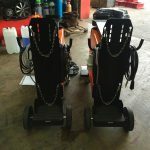 This is especially true considering 'IF' anything went wrong with a Jasic welder we have a very close relationship with the company, and having the Jasic Service Centre a stones throw away in Manchester is a massive bonus. 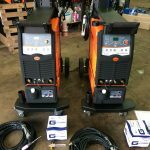 Our favourite Jasic rep Wayne comes and sees us every week and in the unlikely event a welder should breakdown he also takes care of collecting any faulty machine from us, and brings it back to Spectrum a few days later. 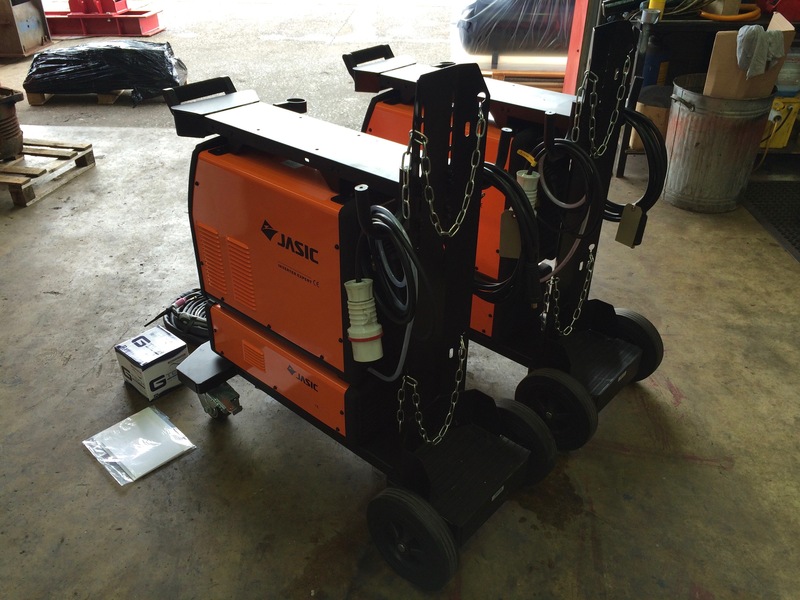 Jasic have got the perfect system in place which is the reason they are taking over the UK welding industry and why we endorse them. 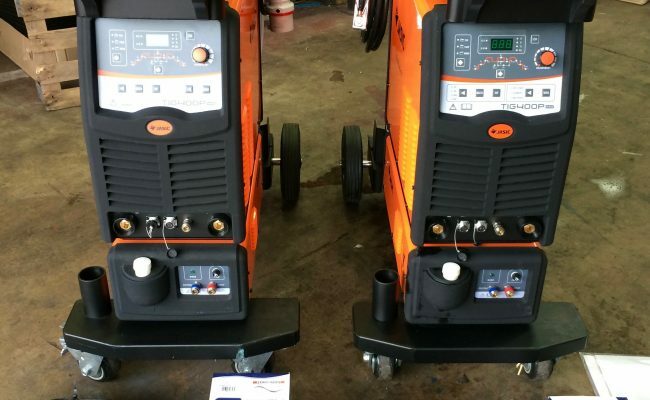 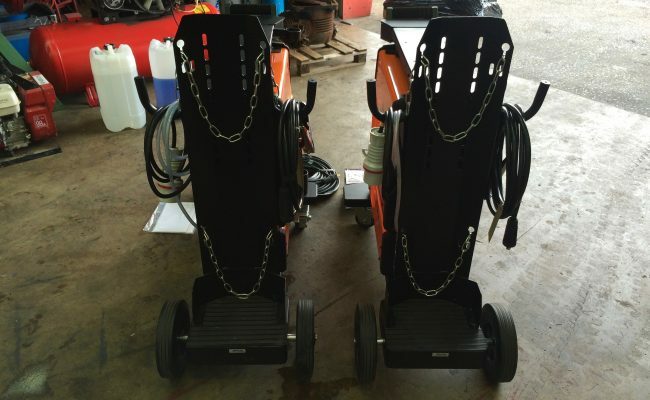 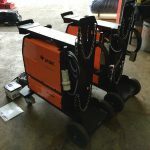 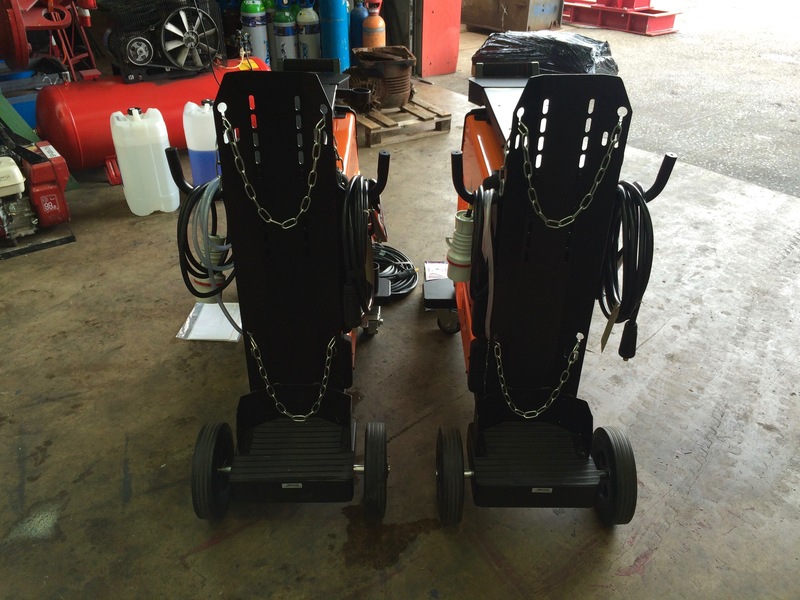 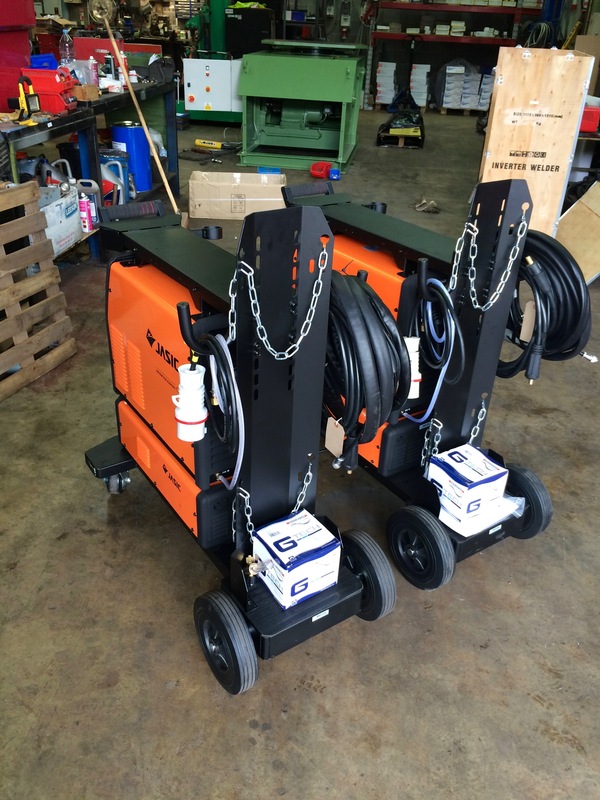 We bought these x2 machines seen here in the photo slideshow for the hire fleet and they have been very popular. 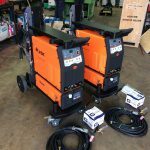 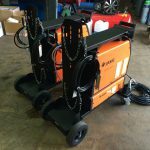 Here at Spectrum we continuously add welders and equipment to our hire fleet and always make sure we have as many machines as you require when you need them.